"The sales manager was friendly/polite and knowledgeable "
Read our customers' honest and impartial Volvo XC40 car reviews and ratings to easily find your next car at Motorparks. My New Volvo XC40 T4AWD is the most comfortable car I've driven in my more than 38 years of driving. The stability and balance while in motion is excellent, even when it goes on rough and uneven terrain. Changed my Range Rover Evoque for the new XC40 First Edition T5 AWD Auto. Brilliant car so far, as I have only had it a few weeks. Only two minor items to mention, firstly the infotainment system takes a bit of getting used too and secondly, the stop/start cannot be turned off, which is a bit of a pain when crawling in a traffic jam for five miles. Maybe Volvo could think about that aspect, as you could turn it off at the press of a button on the Evoque. I deliberately chose an XC40 Inscription Pro T4 Auto with intellisafe Pro for its extra comfort and safety features. It has a remarkable smooth and quiet drive. It has a big SUV feel due to its spacious interior but is easy to park and manoeuvre, especially with its safety features. Road holding is superb. The T4 is versatile and its auto box is so smooth and the action featherlite! It is far more impressive than my former Mercedes GLA. I feel very safe and find the screen related features easy to operate - once you get familiar with the system. The voice control system is the best I have experienced - no trouble with my northern accent! Had the Volvo XC40 for about a month now. So far so good generally. We have T3 model and ride is comfortable, car feels safe although some of the safety features seem a bit overbearing. Good drive and ride around town and on the motorway although, given engine size, not a fast accelerator - which is something you need to get used to. Plenty of options to get driving position just right and infotainment system good. Biggest issue is the gear box. Had to go back in for adjustment and now much better but still the weakest point of the car. Almost feels like they thought no one will buy a manual so we will save a few pounds here. Overall though very happy and despite being bottom of the range it suits our driving requirements just fine as we do little motorway driving at present. The XC40 is a car that stands out from the crowd with a great presence on the road. All of the controls have a quality feel as does the interior. Driving the car is a pleasure, I cannot remember the last time I drove a car that feels so smooth and quiet whilst still having great performance. Finally, all of the systems in the car are bang up to date which inspires confidence whilst driving. Really enjoying my new XC40 - only just over a week hence - still learning about all the technology and safety features. 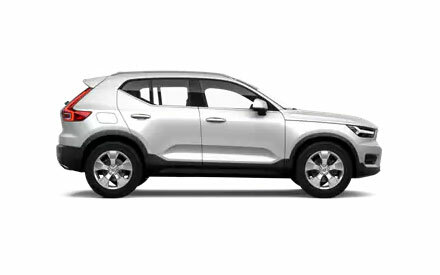 My decision to go ahead and buy a Volvo XC40 was based on its good looks and terrific functionality, heavily supported by the numerous reviews on-line. The pricing on balance was within reach and since being an owner for just a few weeks I am 100% delighted with all aspects, both in quality and the driving experience. I fully recommend.